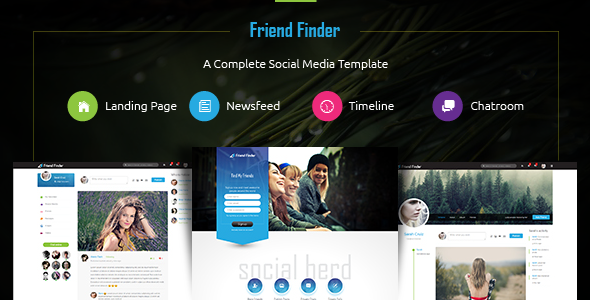 Friend Finder is a social network template that can be used to connect people. The template offers landing page, social newsfeed, images, videos, chatroom, timeline, album and lot more. The template based on the deep research on the most popular social network website such as facebook, twitte, pinterest etc. can i use this theme for commercial purpose.. Yes, You can use it anywhere. yes friend finder is good template but features is not complete. you may download fully featured social network with clean design via below link.